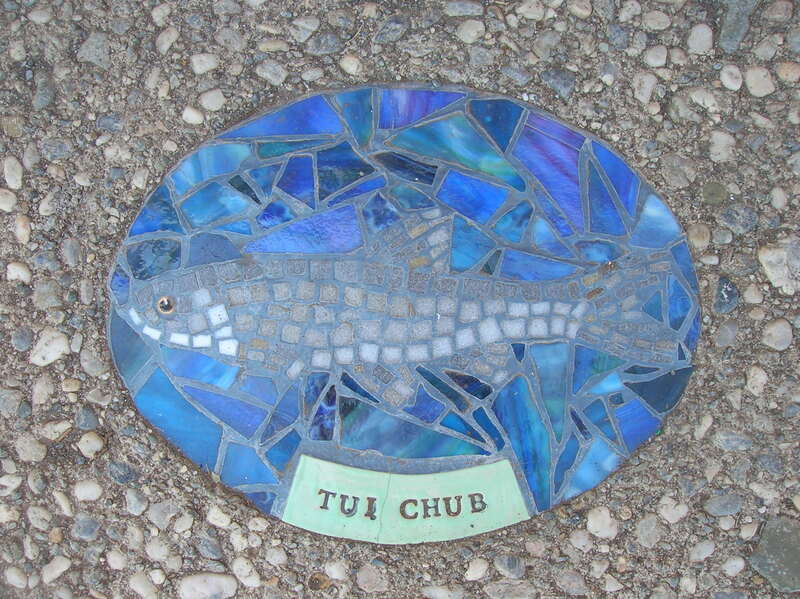 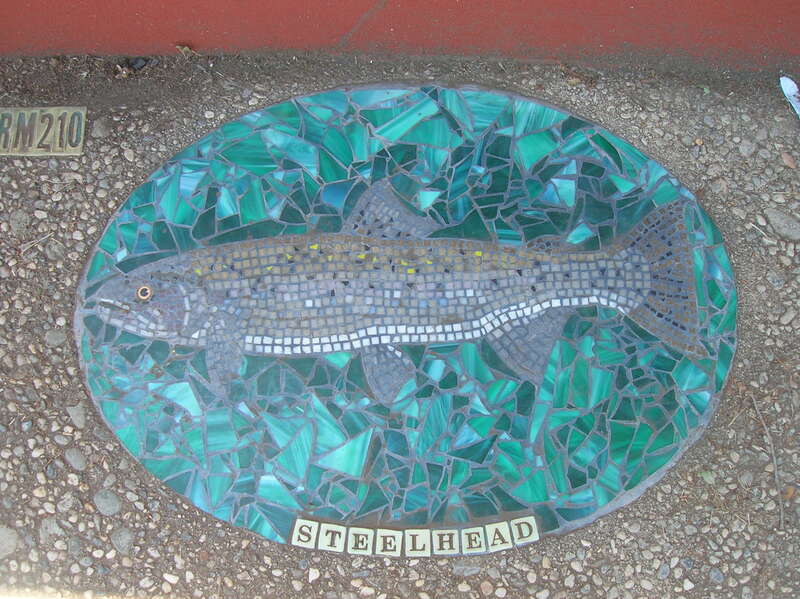 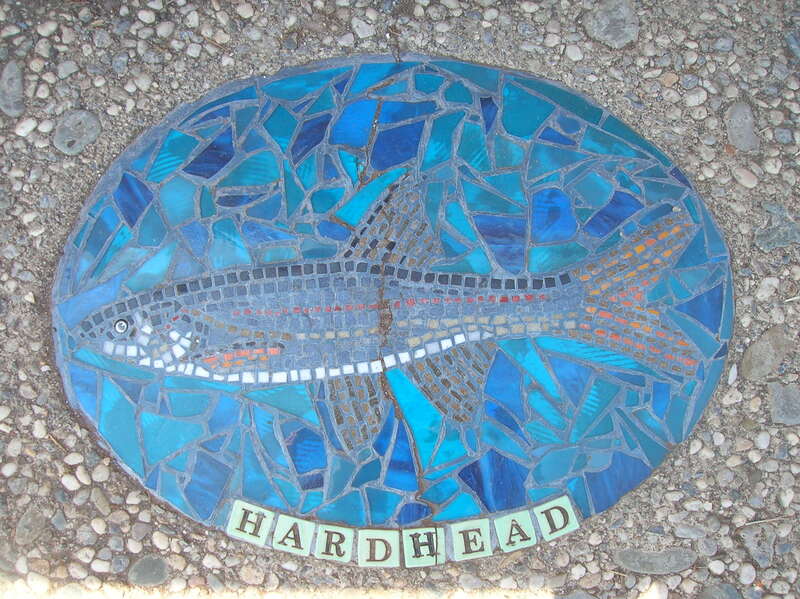 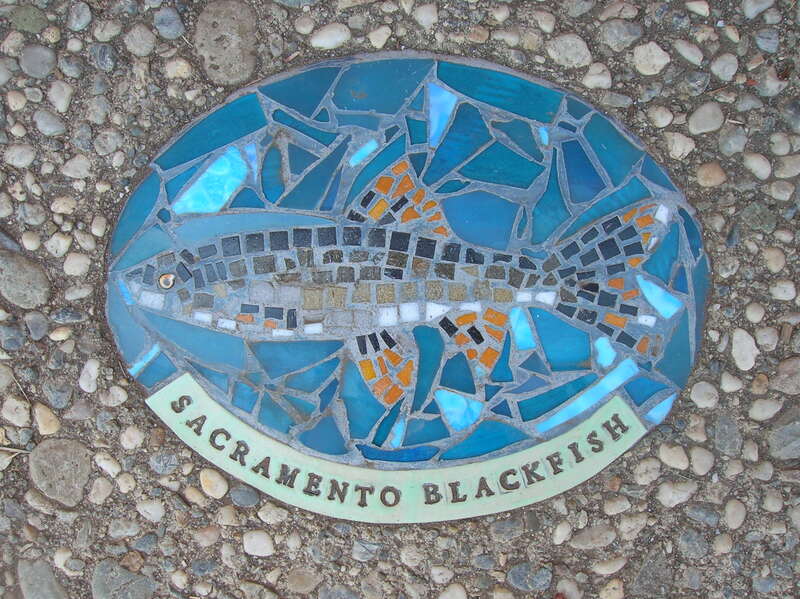 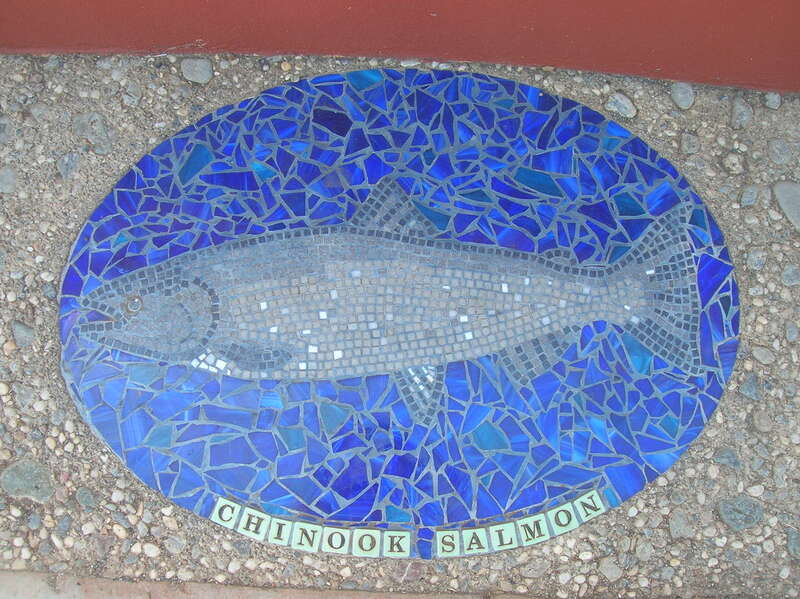 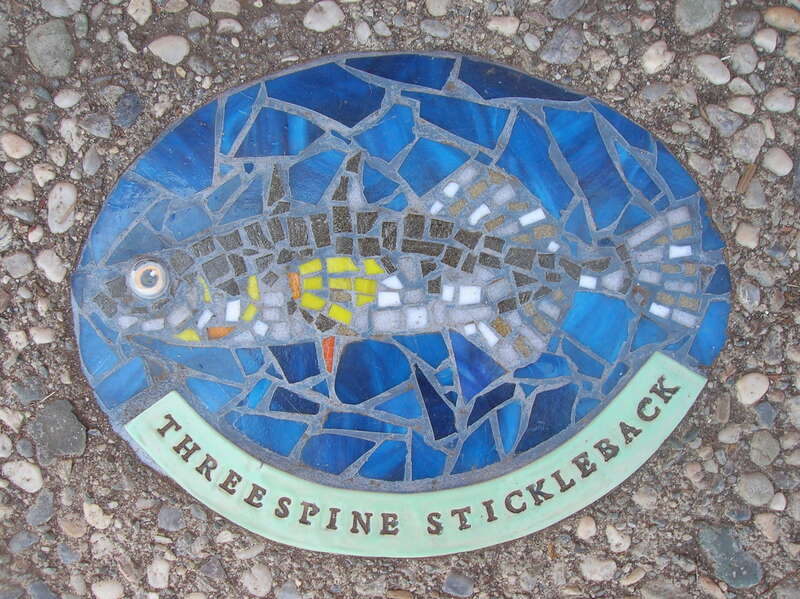 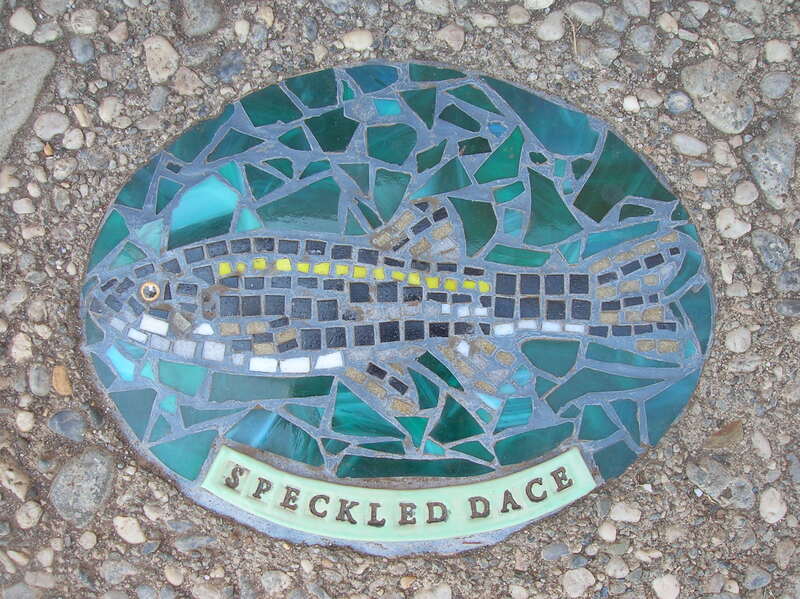 My friend Christen and I collaborated with local high school students to create 18 native fish mosaics which adorn the sidewalk alongside East Avenue by Marigold Elementary School in Chico California. 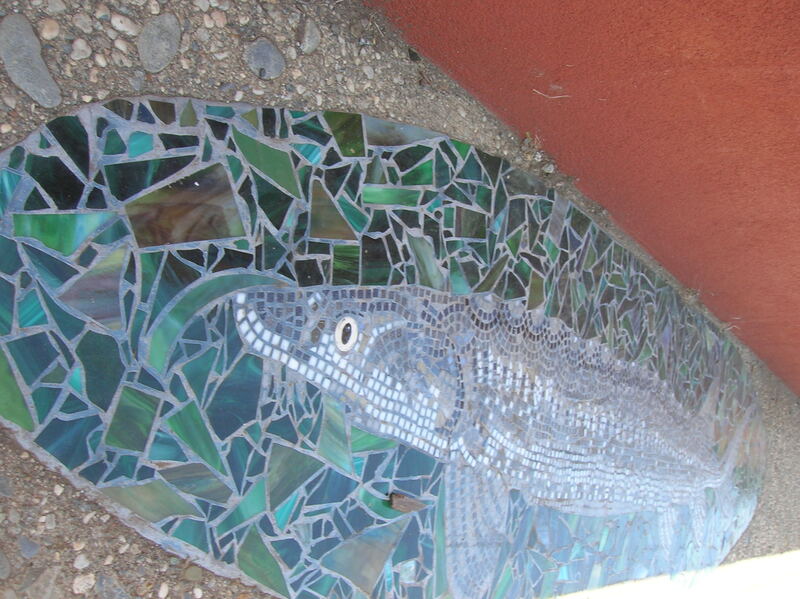 The fish ranged in size from the 10″ lamprey to the nine foot long white sturgeon. 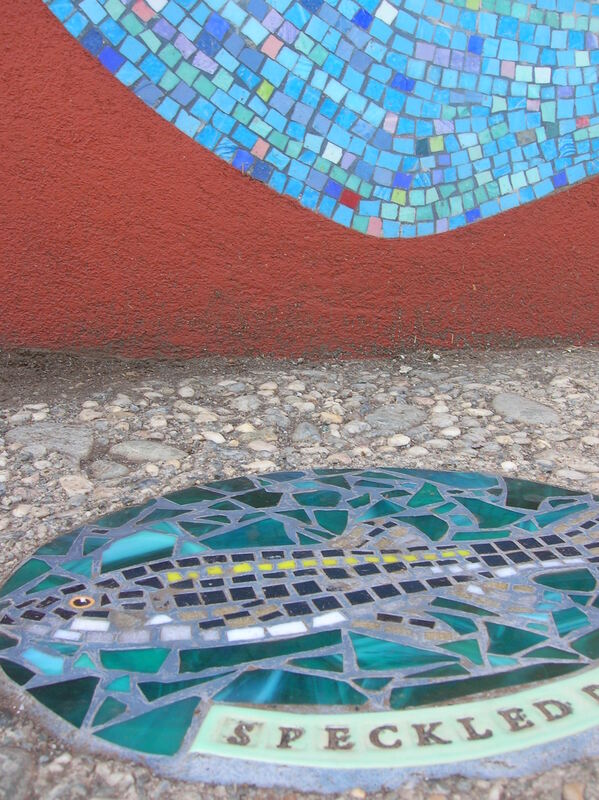 Neither of us had ever taught before so that process was a little clunky. 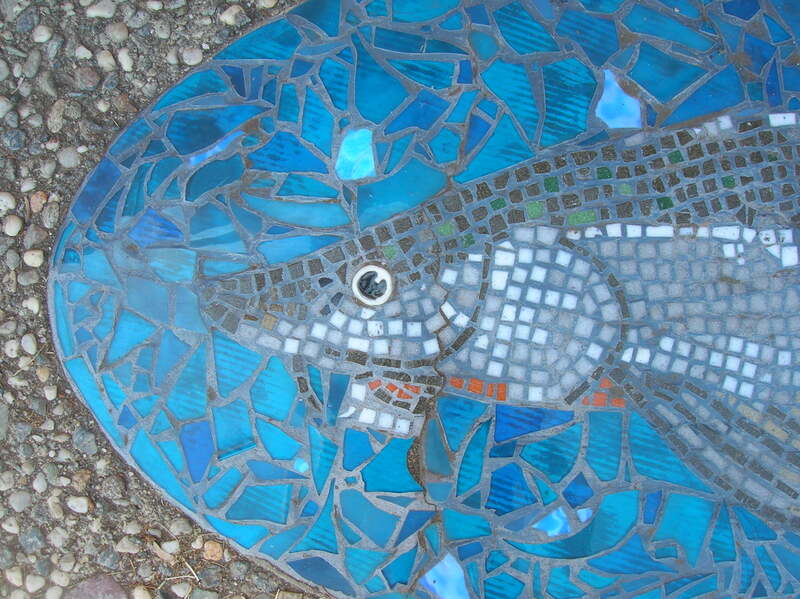 Here we had around 150 students stretched out over five or six art classes and of course each kid wanted to do their own fish! 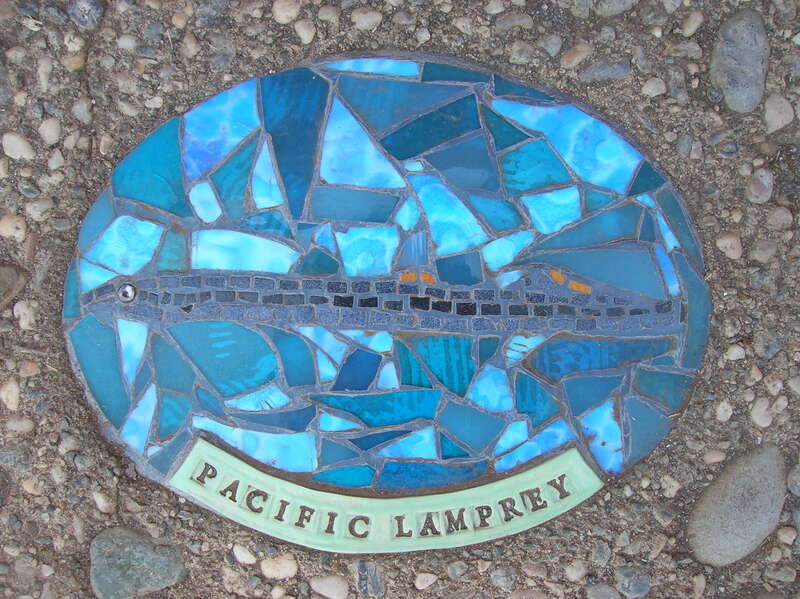 We were all stressed out about safety issues so we had kids wearing latex gloves and goggles and using home-made “nipper boxes” which were card-board boxes with hand holes cut into the sides and a plastic viewing window to nip tiles into and avoid flying shards. 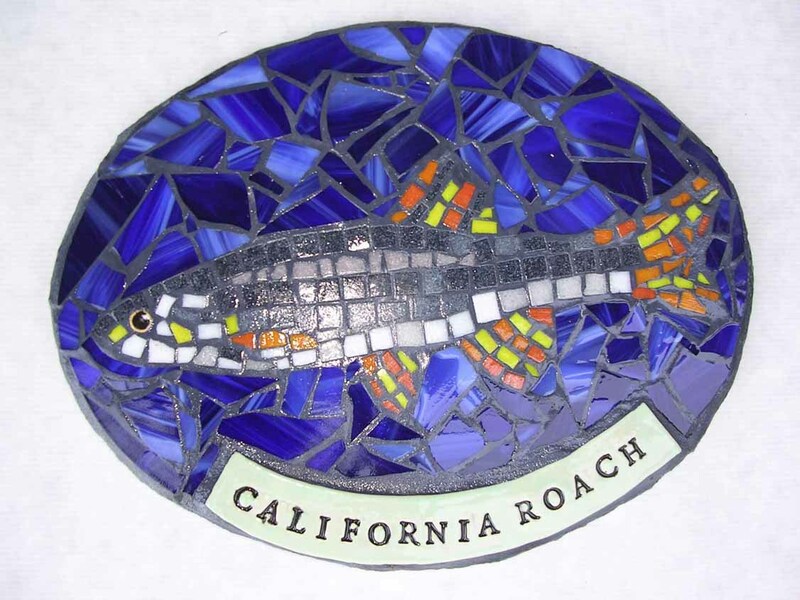 The whole thing seems so comical now. 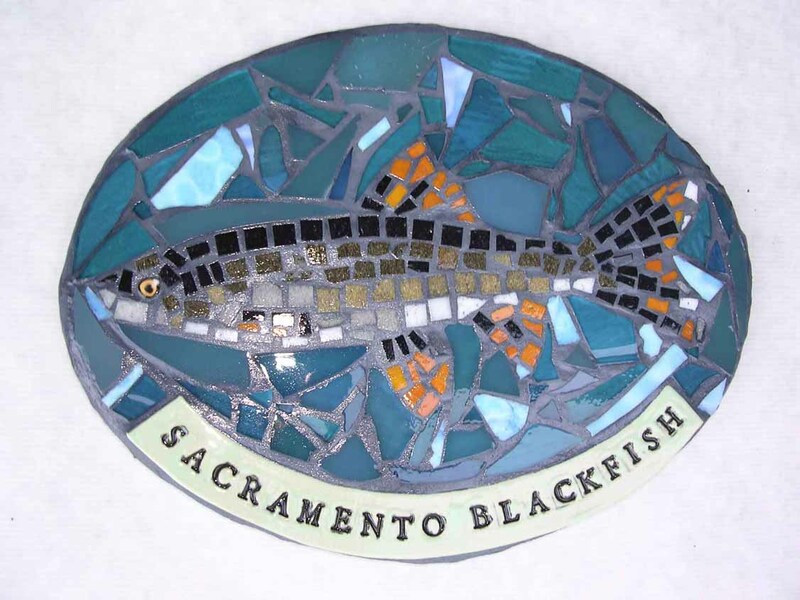 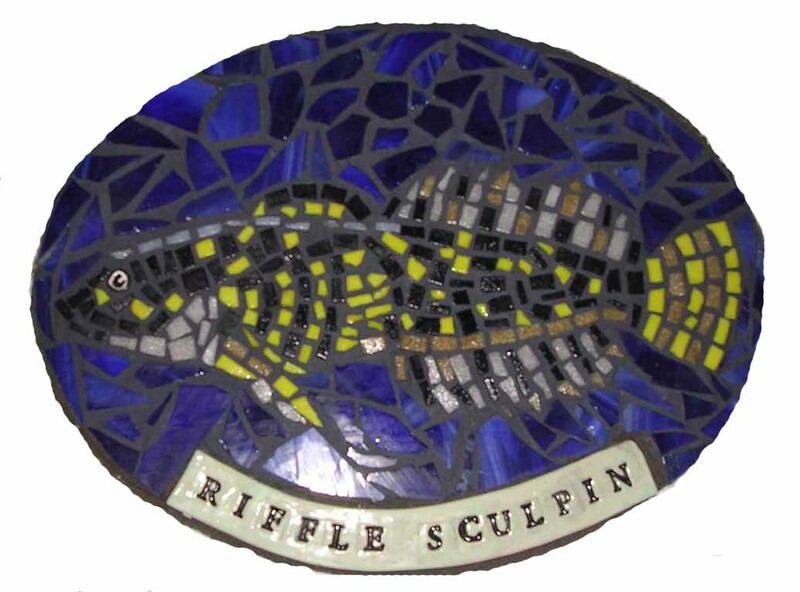 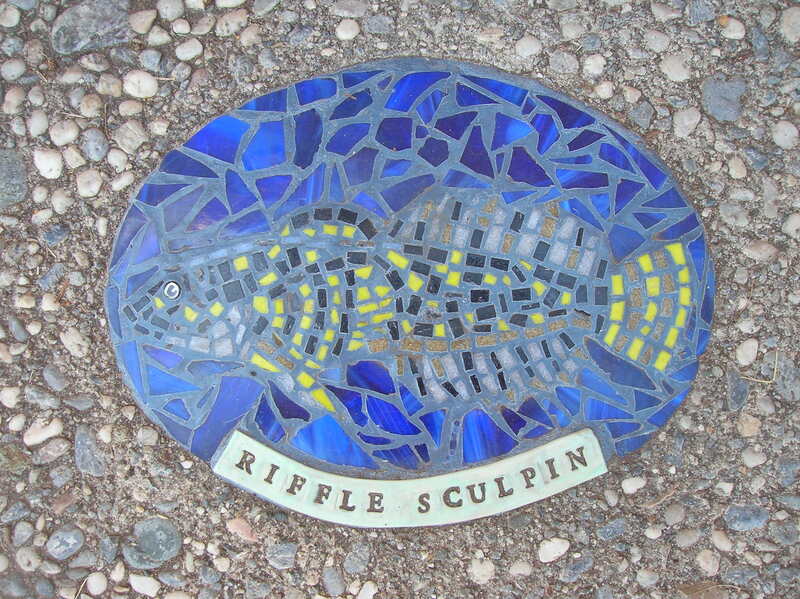 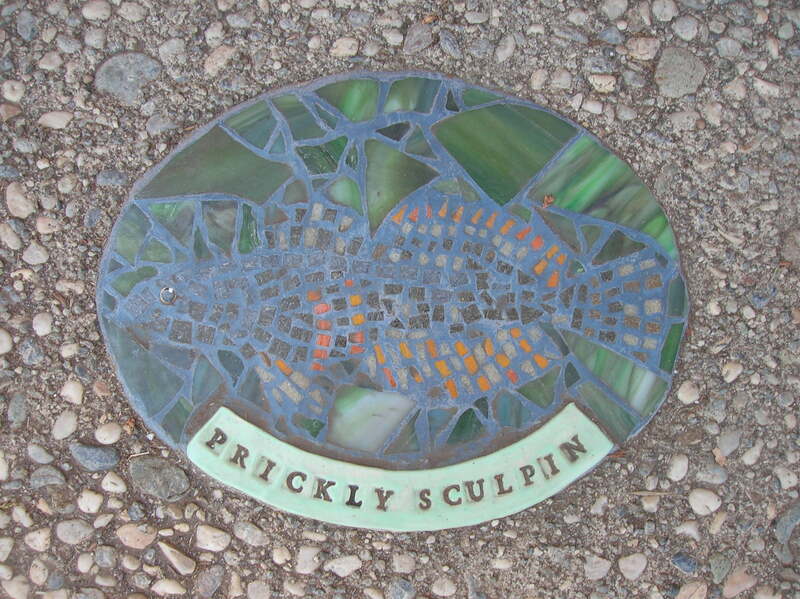 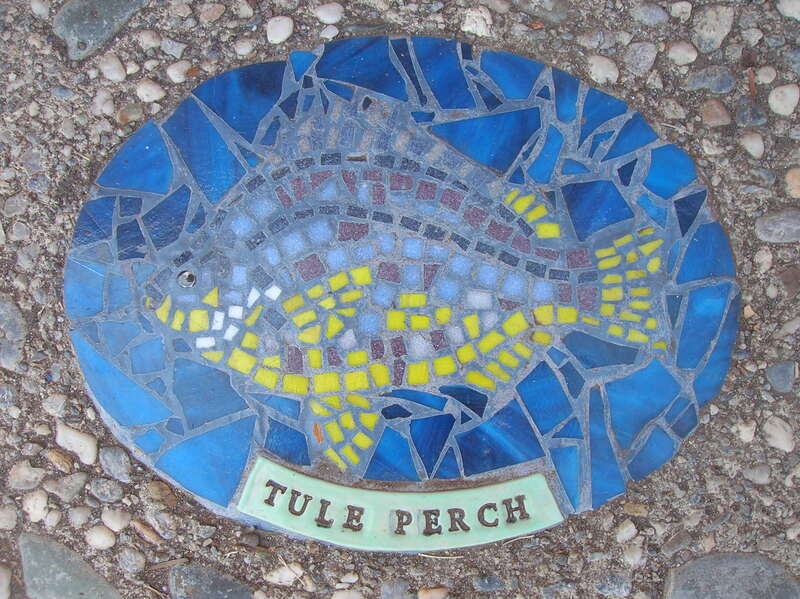 We had kids stamp out the names of the fish into wet clay which we fired in the art teachers kiln and we printed out color images of the fish which we covered with clear contact paper so the�students�could mosaic directly onto the design. 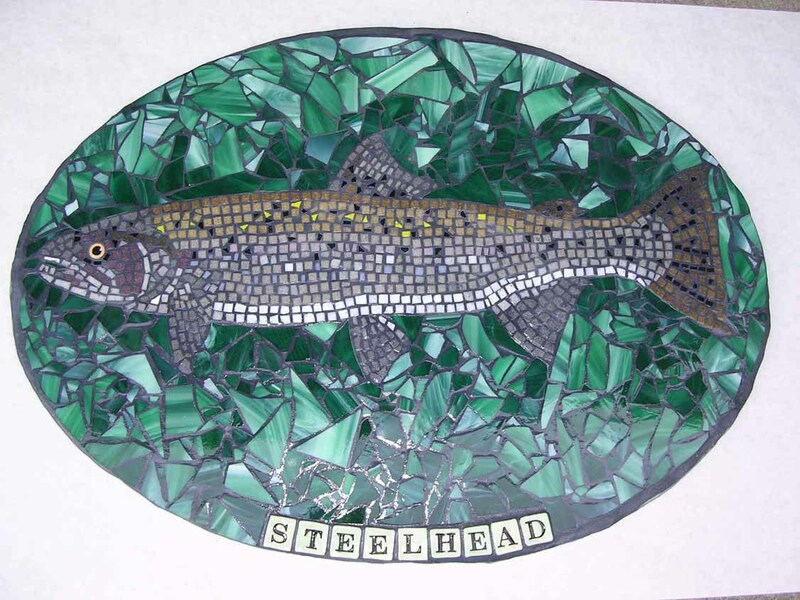 Most of the students resented having to “share” their mosaics with other students as each class got to work on the 18 fish separately. 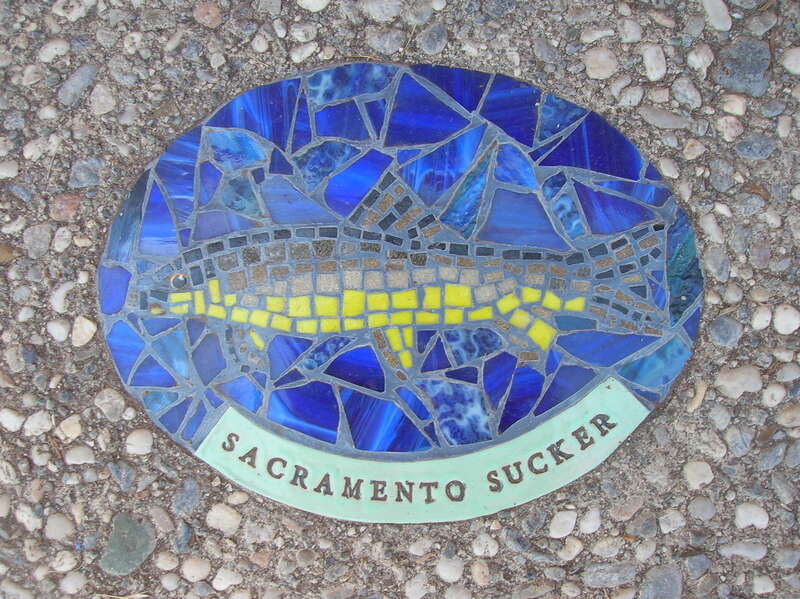 I can’t say that I blame them. 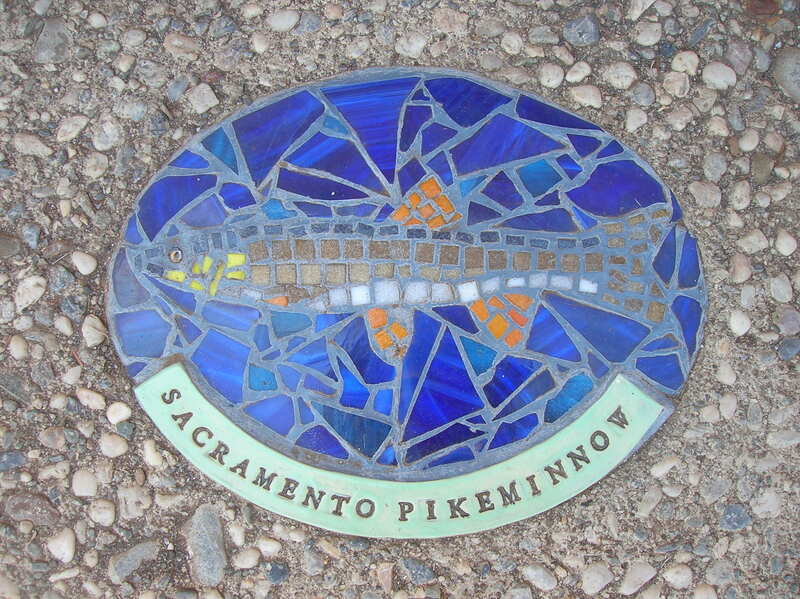 But after we saw several fish demolished and re-done by students wanting to do it “their way”�we took the fish back home to mount on backer-board and grout. 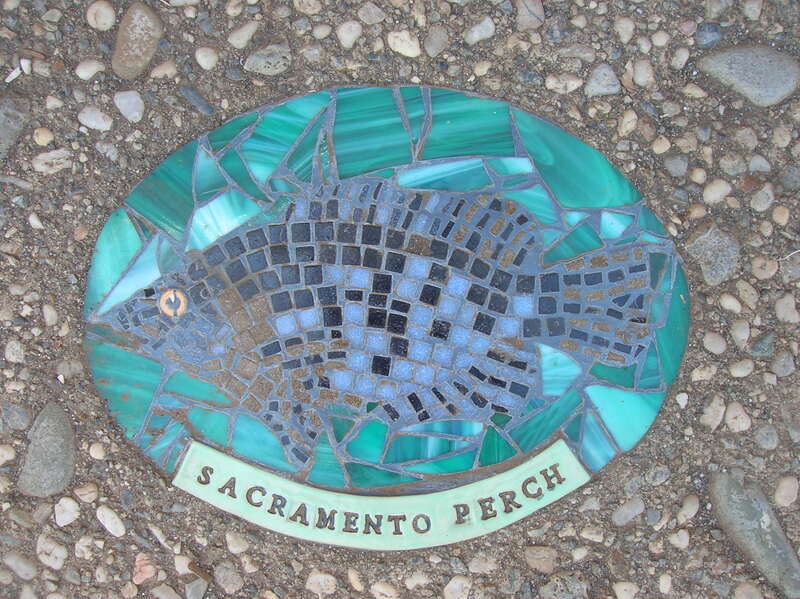 They were installed by the city in the summer of 2004.